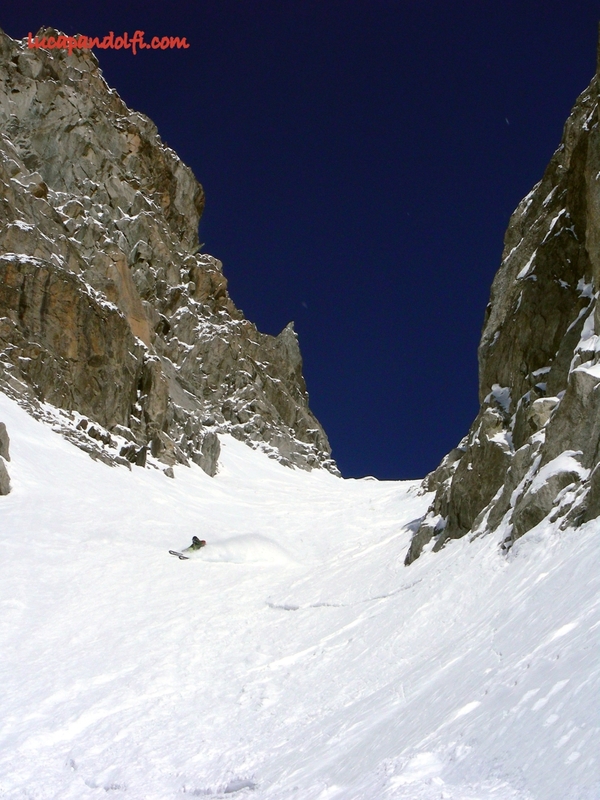 Today we went skiing the Cachè Couloir, better known ironically as “Seb Montaz Couloir”, an alternative entrance to the Brenva Glacier. 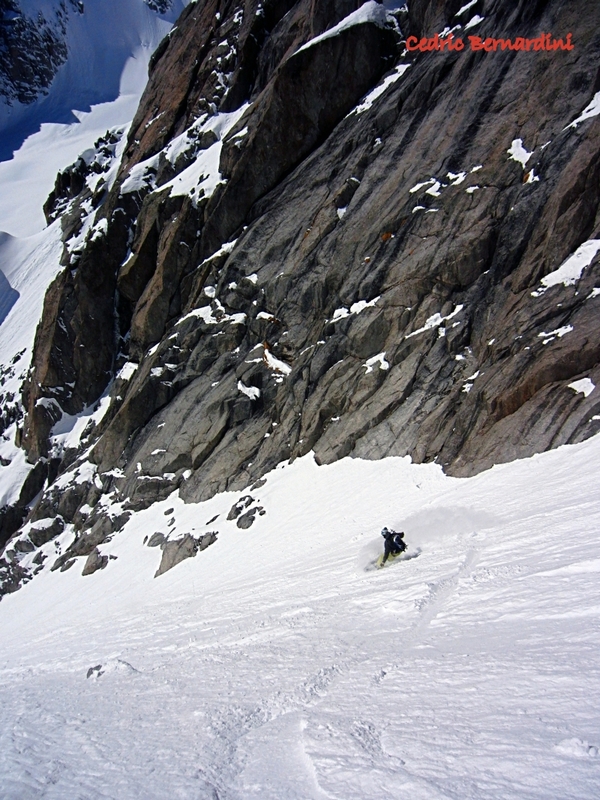 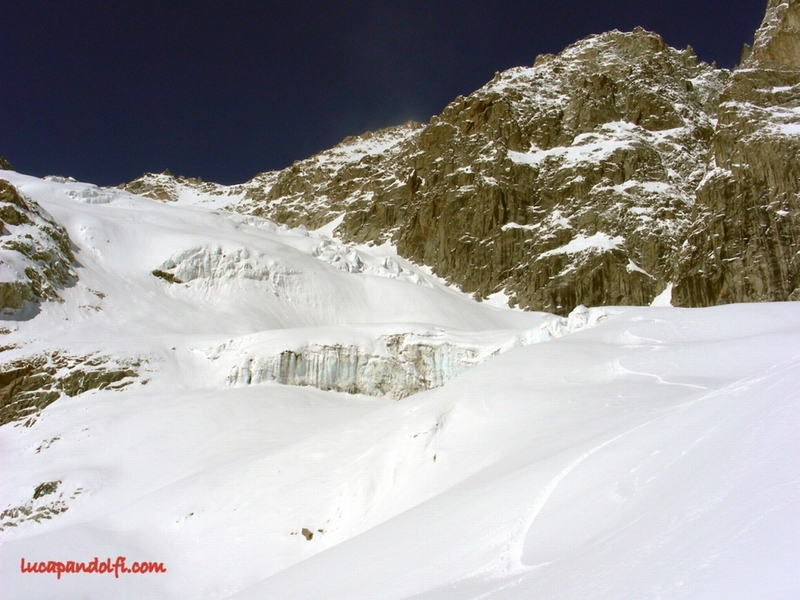 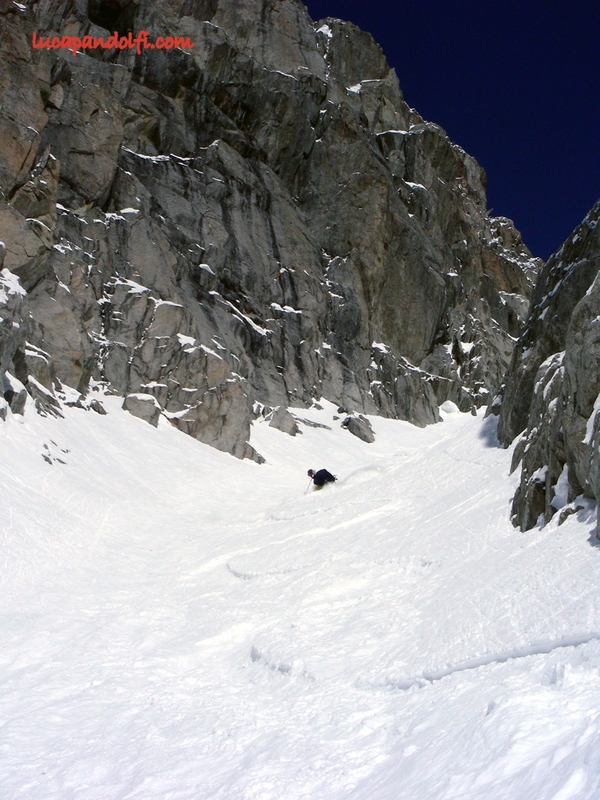 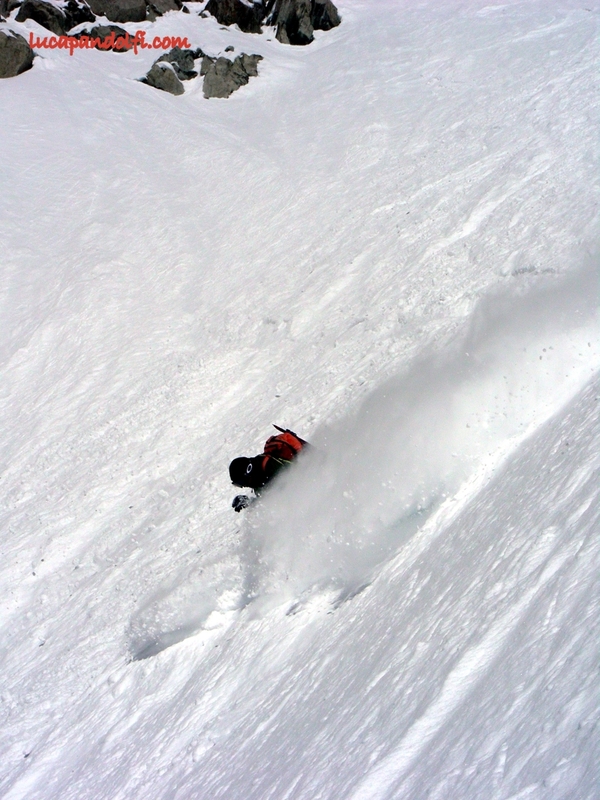 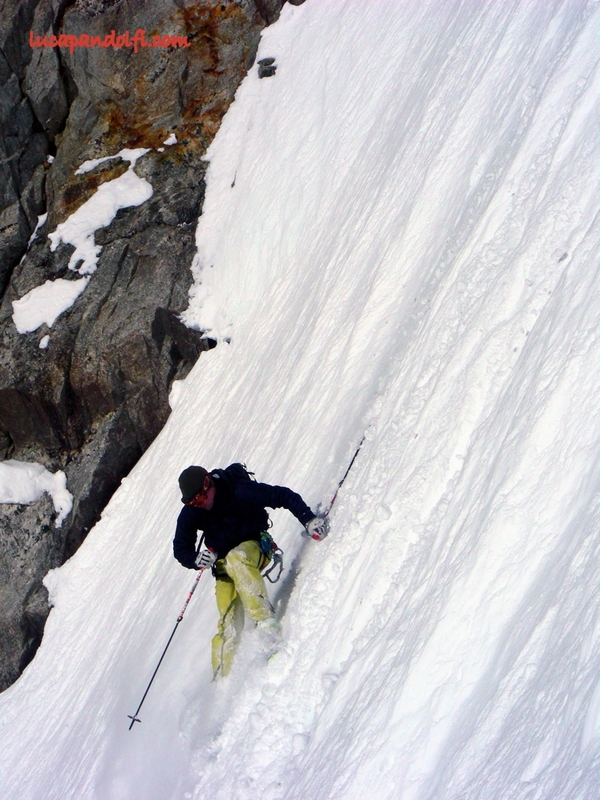 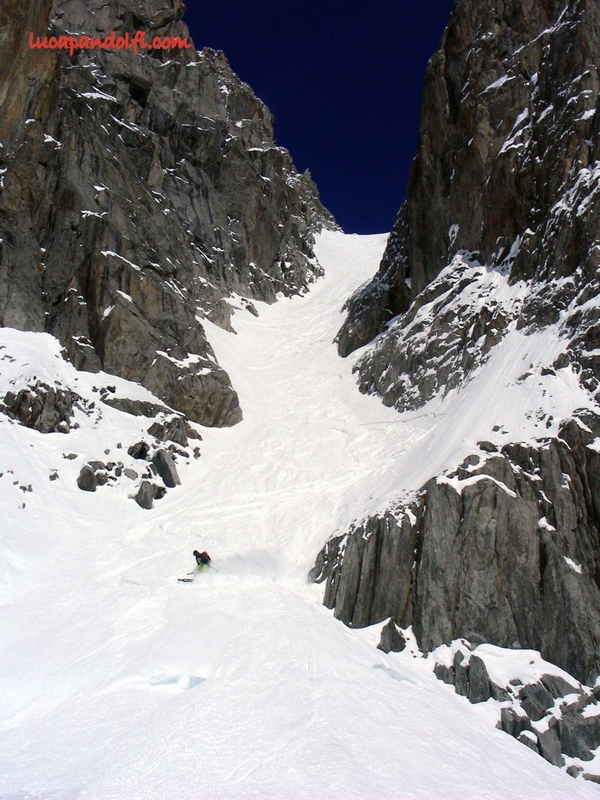 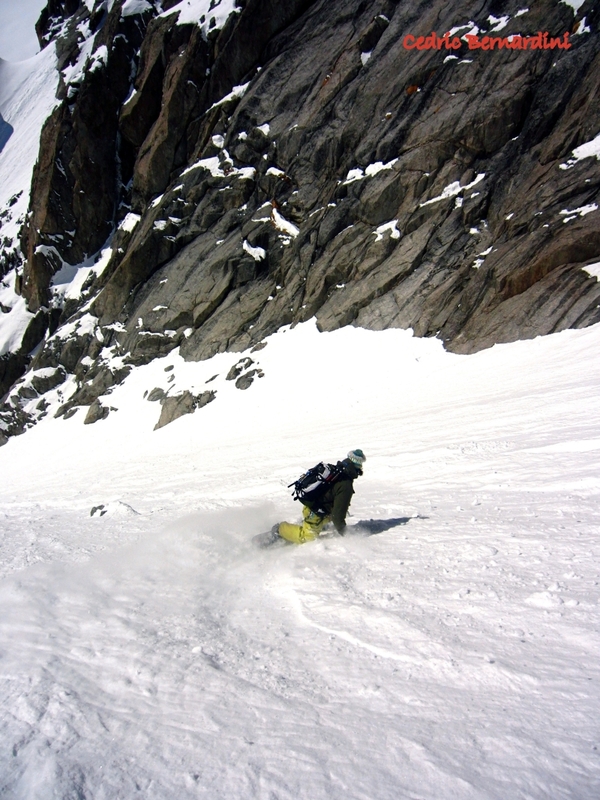 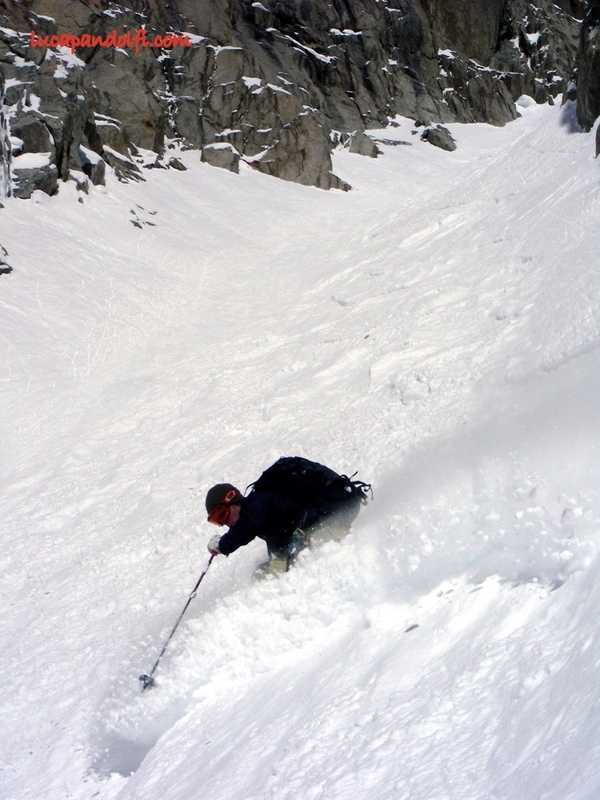 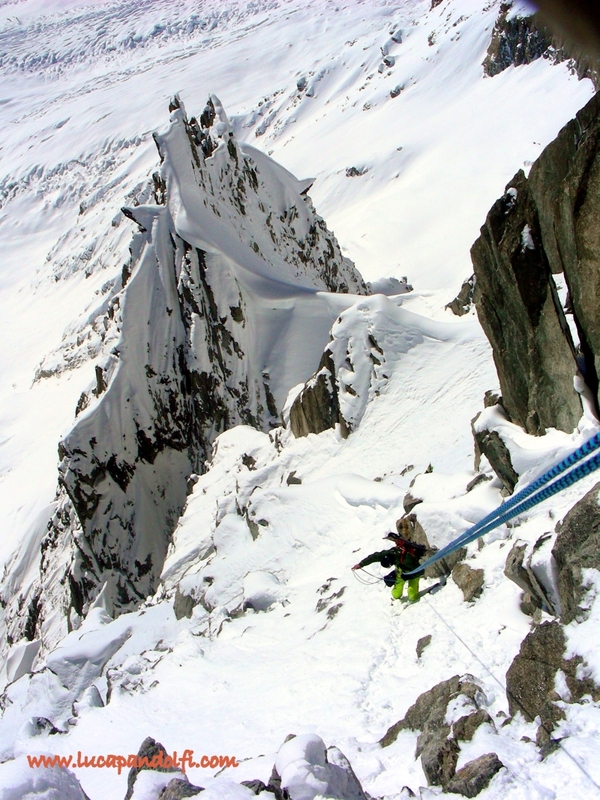 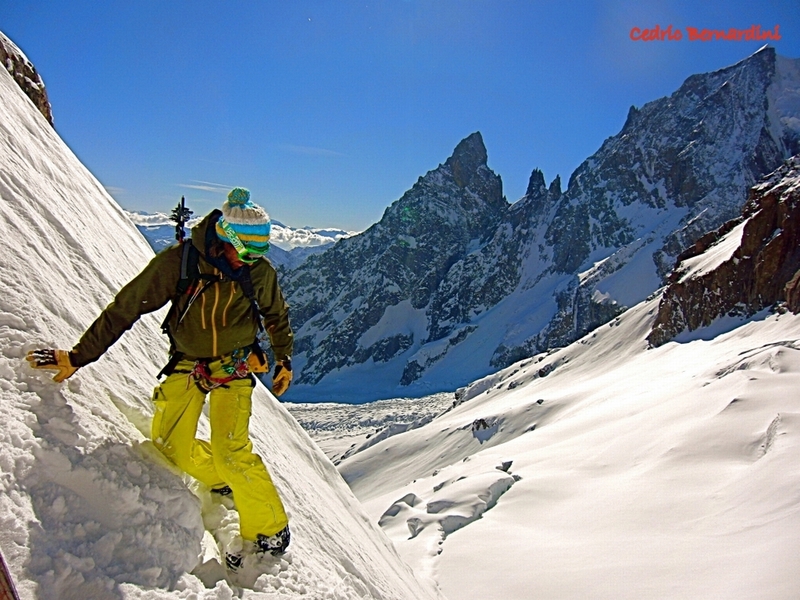 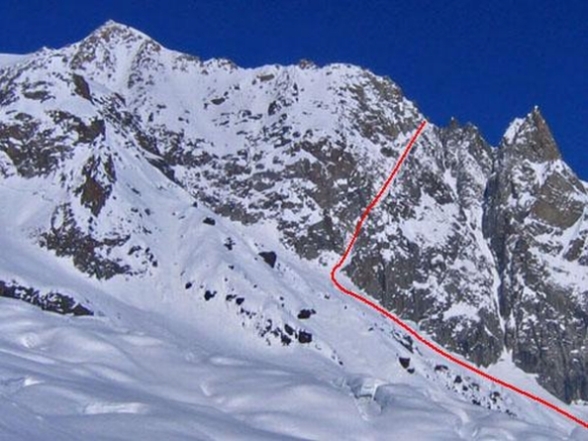 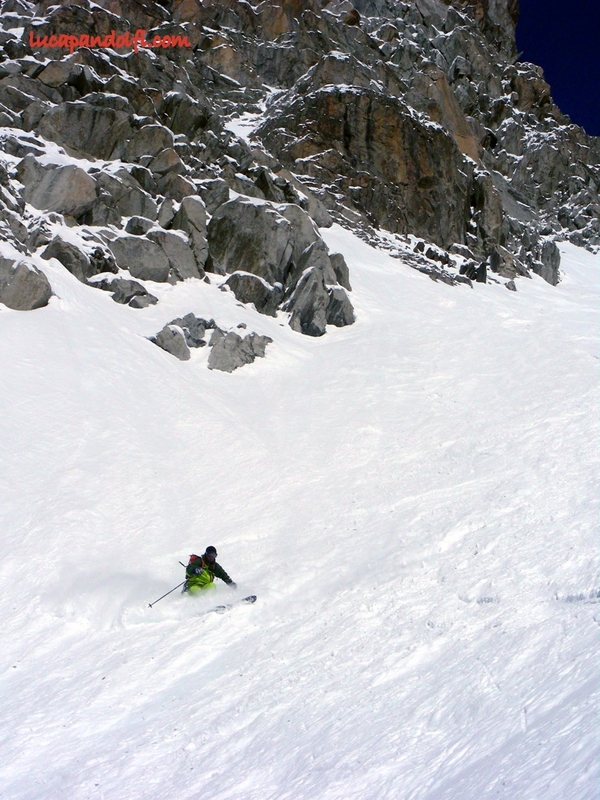 This Couloir has been skied for the first time in January 2009 by Davide Capozzi, Francesco Civra and friends. 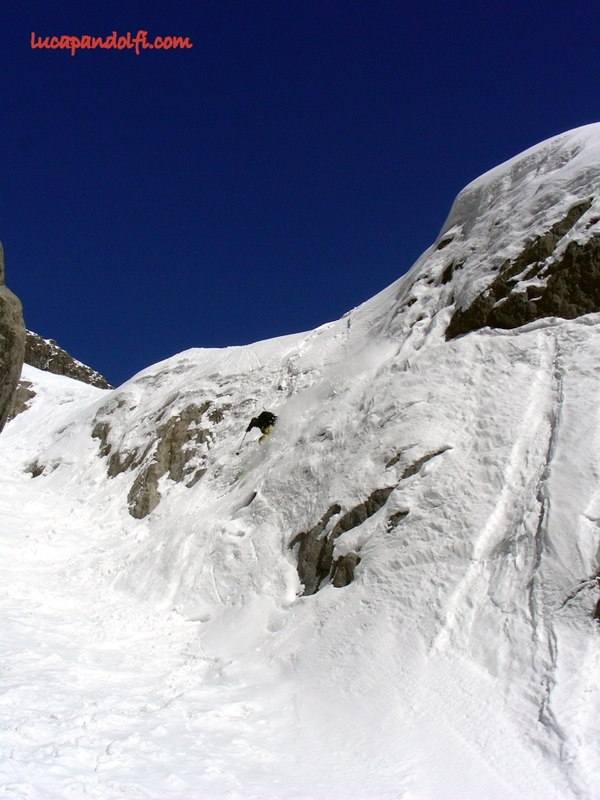 Although the access is a bit complicated the ambient is fantastic and the snow was great.